Today, mobile phones have become integral to everyday functioning in a communication-driven ecosystem. This has necessitated the need for appropriate security measures for protection against device theft, damage, or misuse. Moreover, at the corporate level, the introduction of practices such as enterprise mobility and bring your own device (BYOD) has widened the application scope of smartphones. This has surfaced as a growth opportunity for product manufacturers and service providers for value-added service offerings. Making a leap from solely rendering insurance for phones, these entities are offering bundled service packages that combine phone insurance with digital protection and seamless technical support. Mobile handset protection programs extend help in the event of a phone crisis, be that malfunctioning, loss, or damage and ensure that users can function normally with respect to their phones in the least possible time. In the event of a mobile phone theft or damage, purchasing a replacement device is expensive and is not affordable by a large population. Handset protection services may also comprise data backup, thus giving that peace of mind of retrieving important data would otherwise be lost. In addition, mobile handset protection programs may also offer mobile security, which ensures customers receive service continuation benefits with negligible disruption. The existence of mobile handset protection programs is advantageous to service providers as well. Mobile operators have the assurance of retaining customers until their contract ends who would otherwise opt to incur early termination penalty and end their service. However, it is not a revenue generating pursuit for providers and may result into a cost and time intensive pursuit. Consumers of smartphones and other modern connected consumer electronics are showing a growing need to manage, optimize, and improve their mobile user experience, data assets, and multiple mobile devices. In order to leverage this opportunity, leading product and service providers are moving away from simply providing insurance for phones, to providing bundled services that include digital protection, phone insurance, and premium unlimited technical support. Smartphone penetration and proliferation around the world has stimulated the need for providing proper security techniques to avoid damage, theft, or misuse of their device. The entirety of our current ecosystem is communication-driven and smartphones have become exceedingly vital for consumers. Damage, loss or malfunctioning of handsets is thus a matter of high concern, allowing the global mobile handset protection market to prevail with strong expansionistic strategies. They can provide several protection schemes that allow users to get back their phone or data in as short a period of time as possible. In addition, mobile protection schemes also include data backup and mobile security, thus ensuring continuous service with minimal disruption. The key driving factor of the global mobile handset protection market currently, is the cost benefits of buying mobile handset protection schemes as opposed to purchasing replacement devices. Additionally, these services also improve the scope of customer satisfaction while reducing their overall expenses and protecting valuable data, thereby gaining a greater appeal from retail smartphone companies as well. Services offered in the global mobile handset protection market may include like-for-like replacement or next-day replacement. Owing to the chances of smart devices also being susceptible to screen damage, users are now opting for effective and relevant protection programs for their device. However, the global mobile handset protection market is currently being restrained by the minimal cost benefits of providing protection services to low priced handsets and the overall global economic slowdown. As the prices of handsets including basic phones and smartphones come down, consumers find it much easier to replace their damaged handsets rather than opting for a device protection plan. This easy affordability of handsets is having a negative impact on this market. Recent trends in the global mobile handset protection market suggest that leading mobile operators are promoting handset protection programs internally. This is because such programs drive high value to both consumers and carriers and the improvement of relations between them. North America is dominating the global mobile handset protection market so far, followed closely by Europe. The growth of both regions is attributed to the technological advancements in communication and their higher quality infrastructure in telecom. In addition, these regions have a consumer base with greater purchasing power than other regions, thus making them more likely to opt for mobile handset protection schemes. Asia Pacific is also observing a rapid growth in the demand for mobile handset protection services, owing to the deepening penetration of telecom networks and the growing base of smartphones users. The growth in other regions such as Latin America and the MEA will be driven by the increasing number of smartphone users. 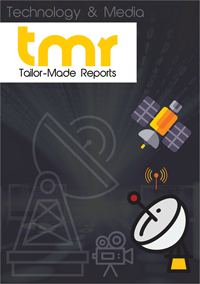 Leading entities in the global mobile handset protection market so far have included SquareTrade, Asurion LLC, CAN Financial Corp., Liberty Mutual, American International Group, Inc., Verizon Wireless, Sprint Corporation, T-Mobile, and AT&T Mobility.